The National Transportation Safety Board (NTSB) pubished its final report of their investigation into the October 2016 runway excursion of an Eastern Air Lines Boeing 737 at New York’s LaGuardia Airport. The Boeing 737-700 (registration N278EA), a chartered flight operated by Eastern Air Lines, overran runway 22 during landing at New York-LaGuardia Airport, Oct. 27, 2016. The airplane veered to the right during the overrun and partially transited the Engineered Material Arresting System before it came to a stop on the turf about 200 feet from the runway end. 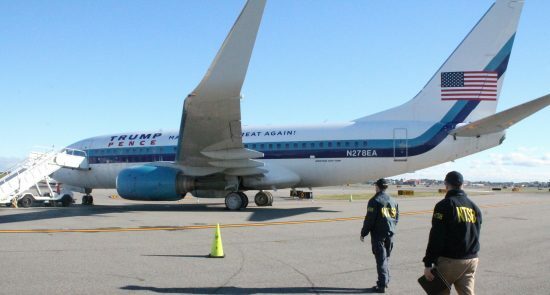 None of the 11 crew and 37 passengers, including then vice presidential candidate Mike Pence, were injured. The NTSB concluded that the first officer’s failed to attain the proper touchdown point and the flight crew failed to call for a go-around, which resulted in the airplane landing more than halfway down the runway. Contributing to the incident were, the first officer’s initiation of the landing flare at a relatively high altitude and his delay in reducing the throttles to idle, the captain’s delay in manually deploying the speed brakes after touchdown, the captain’s lack of command authority, and a lack of robust training provided by the operator to support the flight crew’s decision-making concerning when to call for a go-around.